Paper Tape is no adhesive residue. Can be torn easily by hand. Coated with natural rubber adhesive. Can be sealed with a long lasting smooth. Suitable for various materials. All types of work. 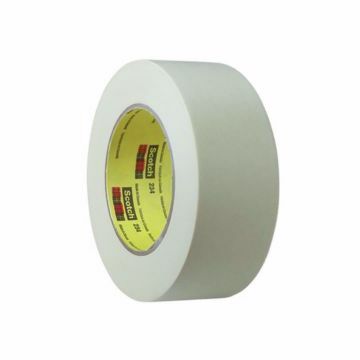 3M 2214 Paper Masking Tape is a cost-effective, crepe paper backed tape that holds, bundles, seals and performs other light duty taping jobs where a pressure sensitive tape is needed. This tape tears easily from the roll by hand, sticks confidently, and can be removed conveniently and quickly.